﻿﻿﻿Hike across deep gorges, Gushing river streams and jenniper forests. 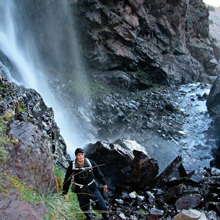 Get amazed by the highest waterfall in the Atlas Mountains. 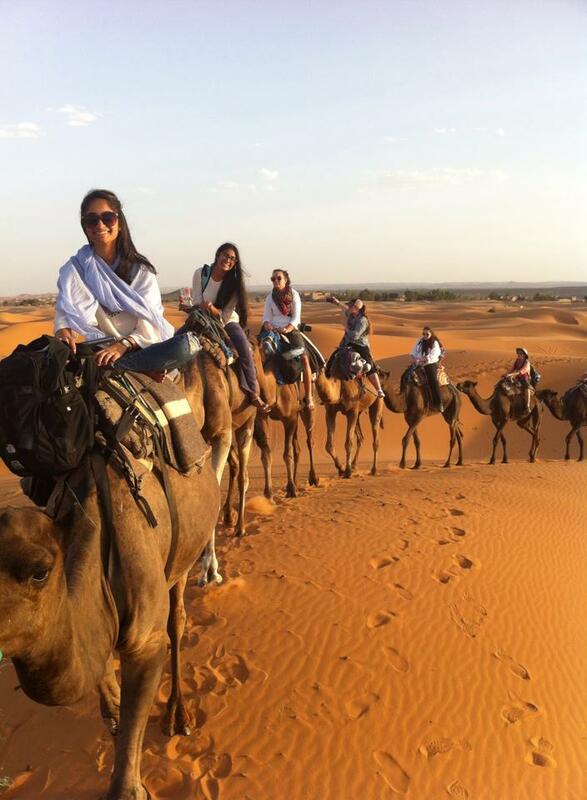 Travel from Marrakech through many little hamlets and Berber villages to the magnificent Western High Atlas Mountains. 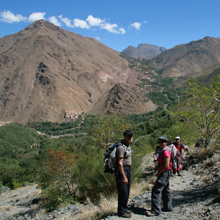 Trek past the villages of Imlil, Arghen and M'zzik. 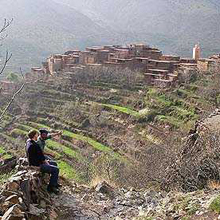 Visit; a village in the Assif Aït Mizane Valley, overlooking ancient irrigated terraced fields of fruit trees and vegetables. 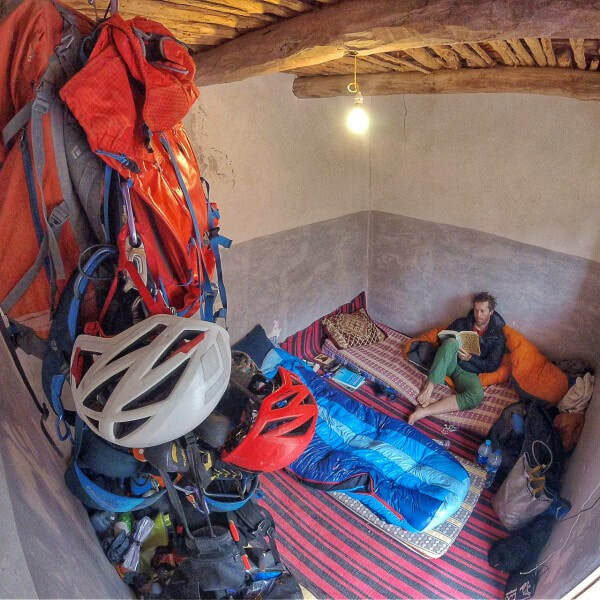 Get over Tiz M'zzik Mountain pass (2450m) and descent through junipper trees down to Tizi Oussem villagea for the night . 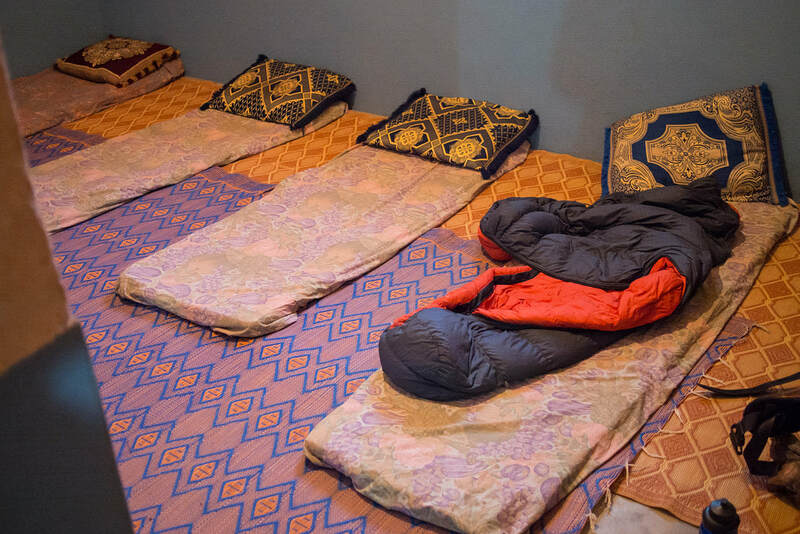 On day2, you Travel down to the Assif Azzaden Valley ( Assif Azzaden ), passing through several Berber hamlets and up to the Tizi Oudite pass and down to the village of Aguersiouâl. 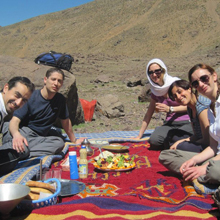 Enjoy your lunch by the river before you set for another hour up the Imlil valley prior to get back to the village of imlil and transfer back to Marrakech . After breakfast in Marrakech, pick up & drive towards the high Atlas Mountains via Tahnnaout, Oued Ghighaya & Asni, enjoy the stunning view of the villages along the valet. 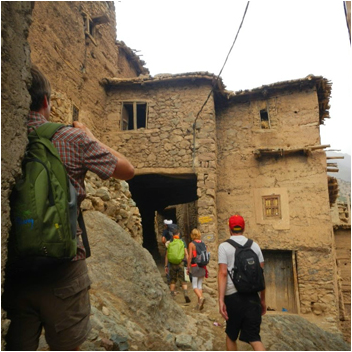 Arrival to Imlil (65km from Marrakech), meet the guide & multeer andthen start the trek & climb Tizi Mzik pass (2684m), spectacular view over Imlil valley & Toubkal Summit, continue to Tamsoulte to visit the highest waterfalls in the Atlas Mountains (100m of hight), down the Azzaden valley through juniper forest to get to Tizi Oussem village. Overnight at the Guest house in the village. 6hrs walking. 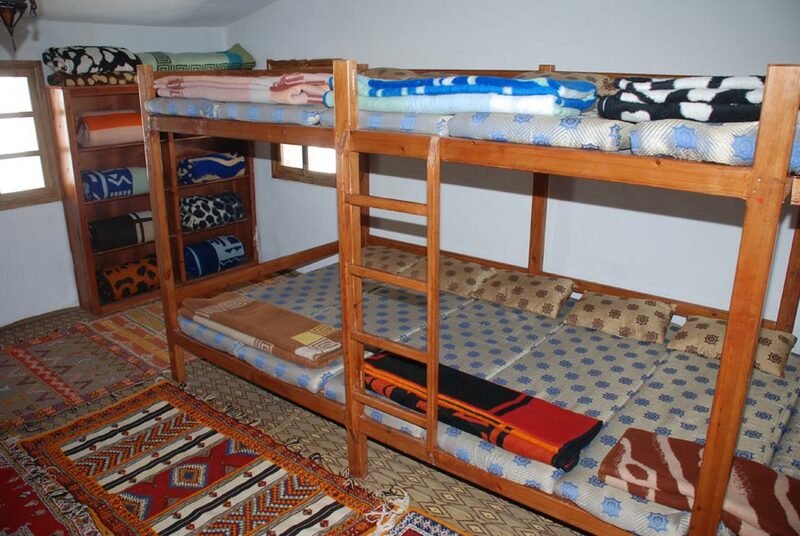 The Accommodation will be in a simple berber Gite at Tizi oussem Village.